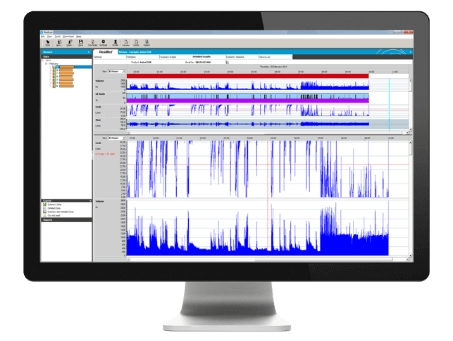 ResMed’s PC-based clinical analysis and patient data management software: allows you to update device therapy settings as well as download, analyse and store therapy data. Deeper look into patient therapy data using detailed data graphs and reports, allowing you to review therapy breath-by-breath across a number of therapy metrics (including AHI, leak and pressure information) in order to gain clinical insights to improve therapy, enhance efficacy and support long-term compliance. Allows the tracking of long-term clinical and compliance trends using summary graphs, and allows the review of device settings and key clinical indices via easy-to-read statistics.